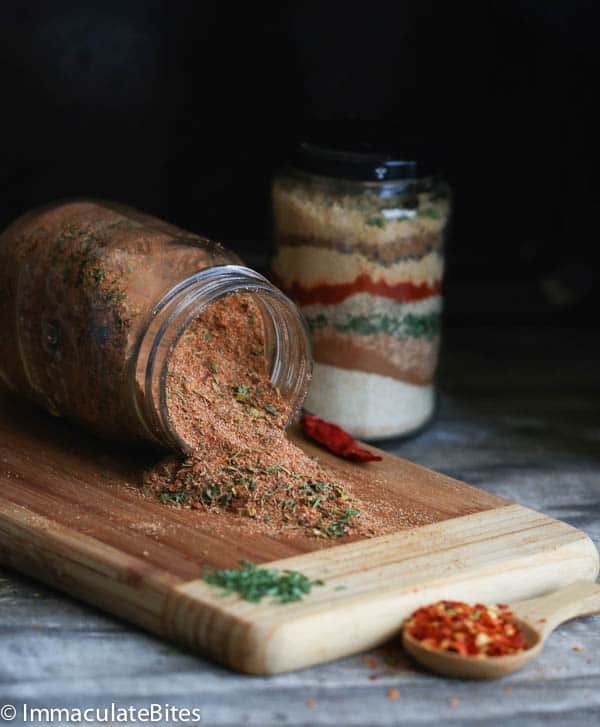 Jamaican Jerk Seasoning – Save money and make your own homemade Jerk Spice, it is quick to put together and can be easily customized for personal preference. Did I mention I was cleaning up my pantry? 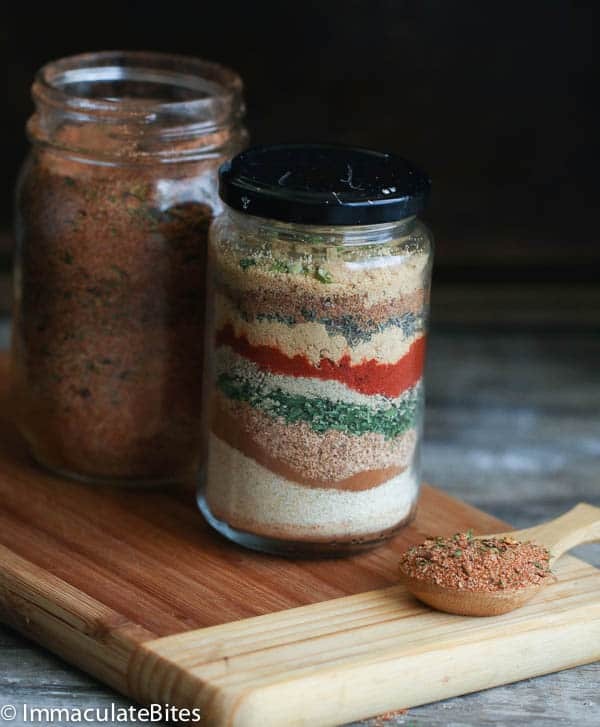 Using up some spices that have been sitting in the pantry patiently and getting rid of others that would never make the cut these days? Spice blends to be specific. 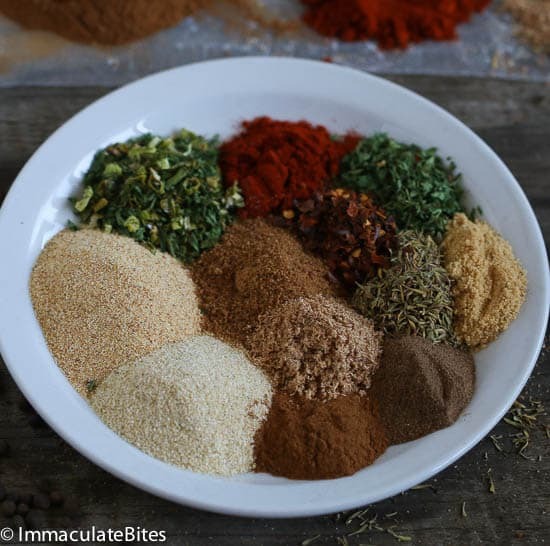 I have come to the conclusion that, most of these spice blends can be made at home and taste way better and some are cost effective too! Take for example, this Jamaican jerk seasoning; I did not go out of my way to get any extra spices. 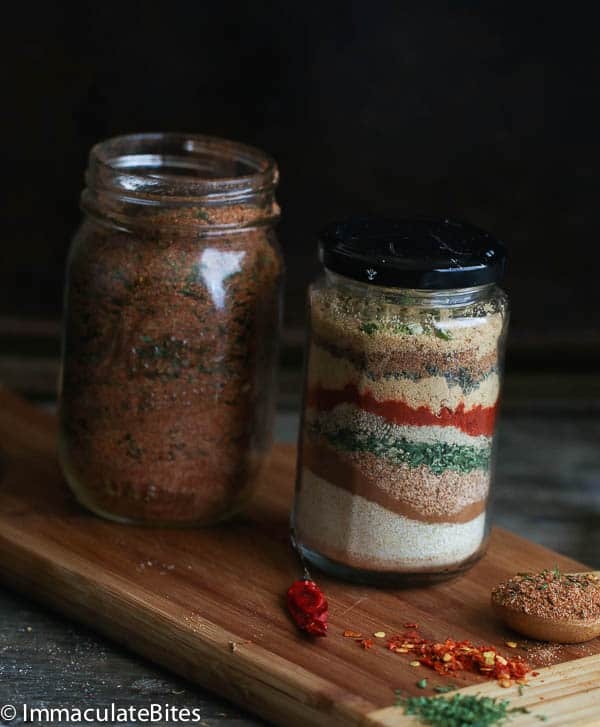 Yes, some of the spices are the ones you use in your everyday meals or ones you can incorporate in your cooking. Do you know I had two jars of jerk spice just chilling in the pantry? After making my own spice blend I said goodbye to the two jars and we parted ways – amicably of course, no hard feelings. There was no way I’m going to use up the jarred stuff anymore! Yeah, I know it is money down the drain. So am going to think twice about buying them next time, every penny counts. This tastes way better!!!! This is a blend of sweet tropical spices and one or two savory herbs coupled with a pleasing, peppery heat. 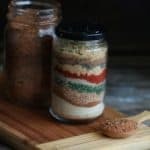 Now the good thing about making your own spice blends is getting rid of some spices that you absolutely cannot tolerate. And throwing in the ones you simply adore. Make it completely Paleo , Vegan or taste- bud worthy! My son had a blast when I was taking pictures; he decided to make his own special blend. He taught it needed some sweetness…. who am I to say no? What ever rocks his boat! Now when ever I use this spice, which for the last few weeks has been on a weekly rotation (in various proteins and sides), he wants to use his own special blend, I let him do. It makes him feel accomplished. 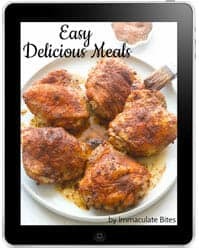 Hang tight, I am going to share with you a few of recipes and there will be more to come – Barbecue season is quickly approaching Enjoy!!! 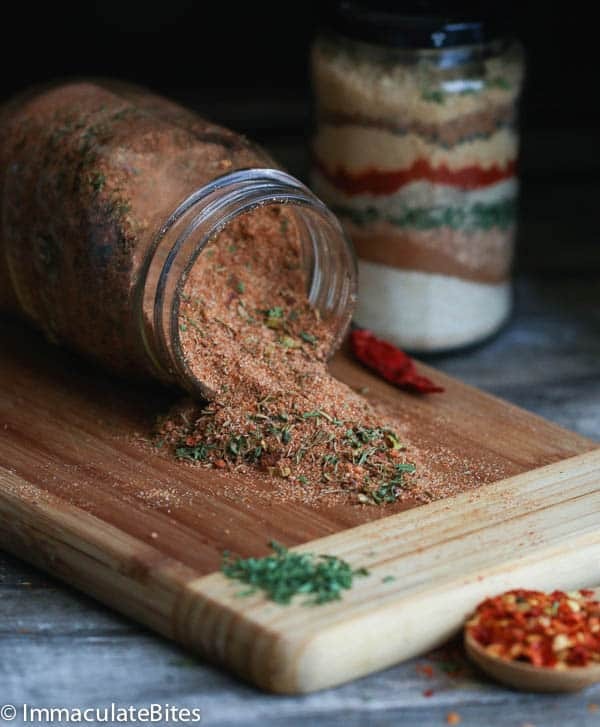 Jamaican Jerk Seasoning – Save money and make your own homemade Jerk Spice, it is quick to put together and can be easily customized for personal preference. Store in any airtight container (or zip lock bag) and start adding to your proteins and vegetables. Chop green onions and let it dry out in the sun , during summer months. Might take 2-3 days. Store in an airtight container - great for garnishes and to add flavor.